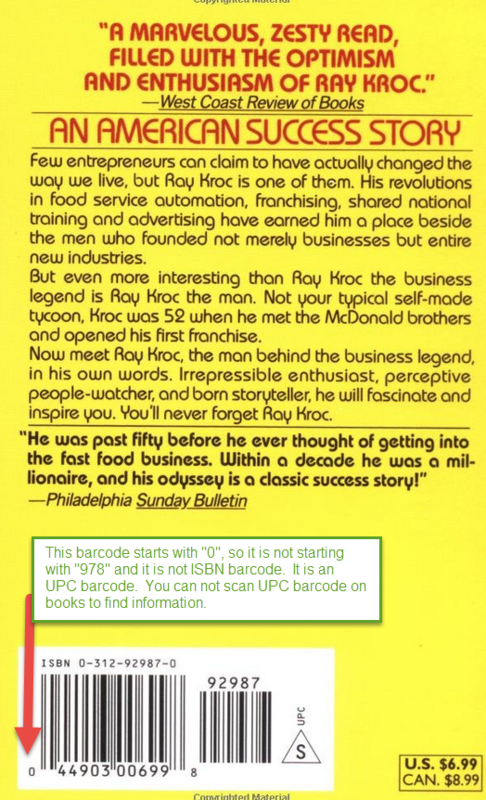 When scanning books, make sure you scan the ISBN barcode starting with 978, and not the UPC barcode starting with 0 or 1. 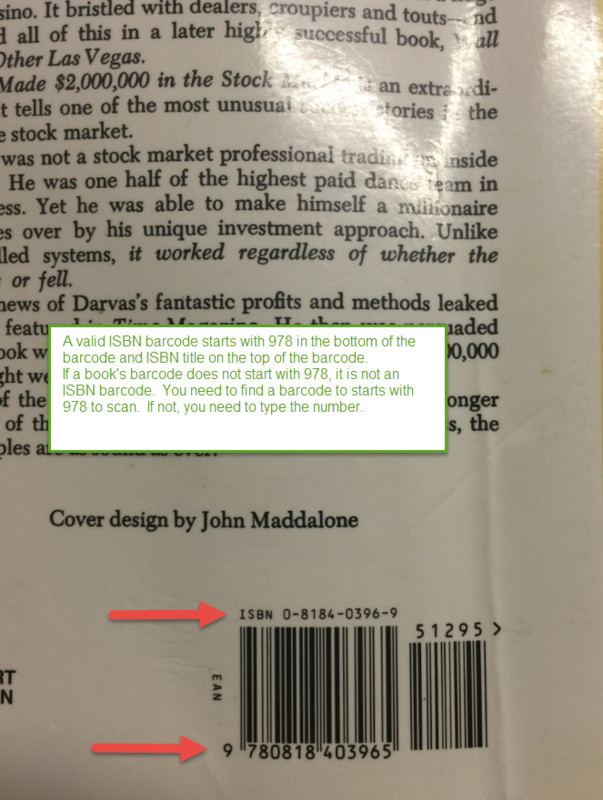 For pocket-sized books (Mass Market Paperback), the ISBN barcode is on the first page. The barcode on the back of the book is UPC code. Make sure you have the correct symbology settings for your Socket Scanner on your PDA. If your scanner isn’t working, see how to set them up here.